1985 Sea Ray 24' Week-Ender. 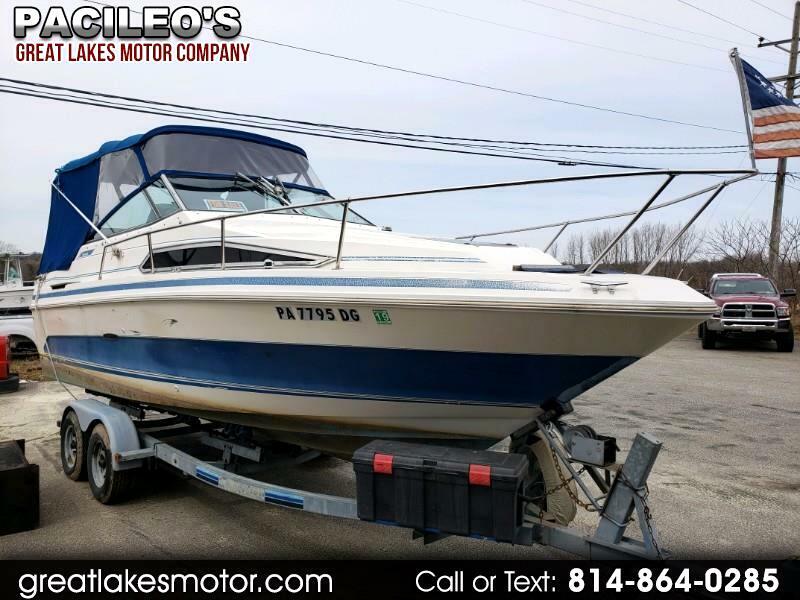 Owned by a close relative, this boat is in great condition. Freshly tuned-up, everything on board works and is fully operational. Comes with appliances such as stove, sink, toilet and more. Great on fuel and recently equipped with a newer exhaust, starter and water pump. Ready to protect you from the elements with a new custom canvas. Start enjoying your summer days out on the water with this awesome boat. Last year the owner was asking $10,000, must sell as things change, reduced to $5,800 for a quick sale. Message: Thought you might be interested in this 1985 Sea Ray 235 Weekender.